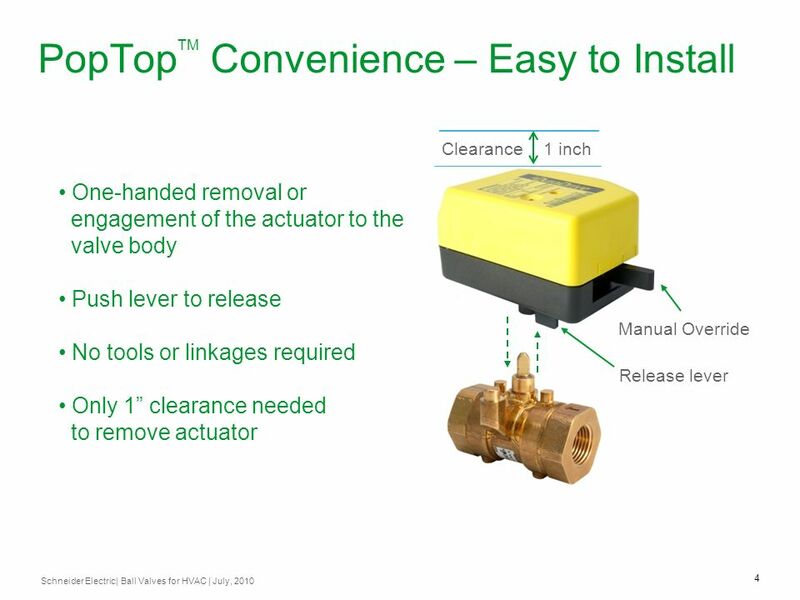 Clearance 1 inch One-handed removal or engagement of the actuator to the valve body Push lever to release No tools or linkages required Only 1” clearance needed to remove actuator Manual Override Release lever The PopTop allows installers to remove the actuator from the valve with one hand in seconds. 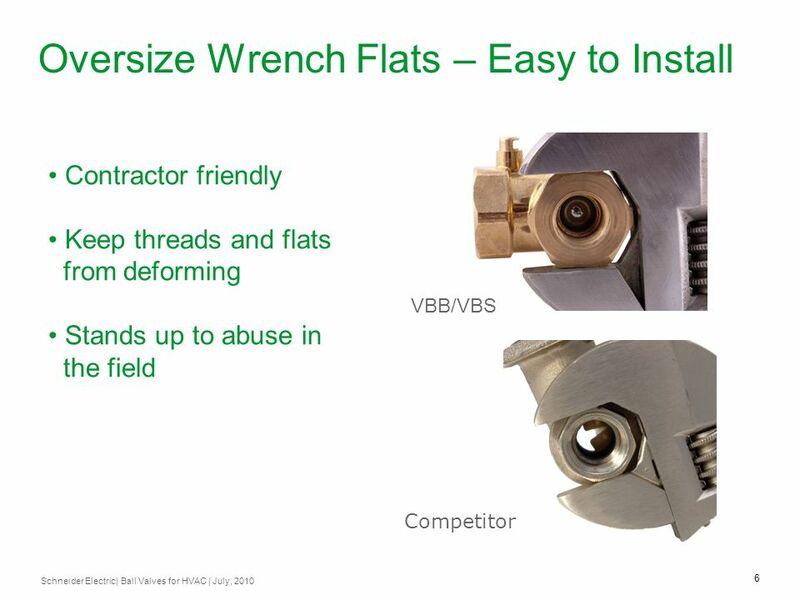 No screws to hassle with…..just a release lever. 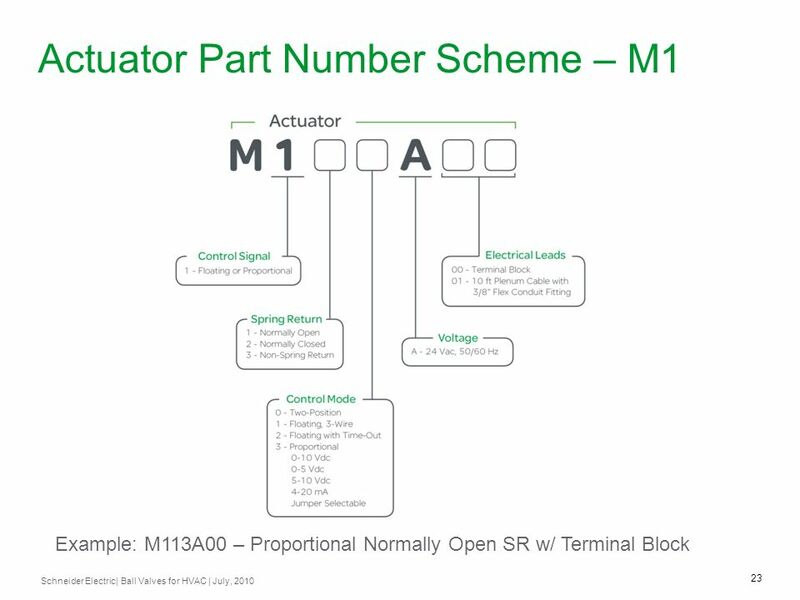 Only 1” of clearance to the top of the actuator is necessary to remove or install the actuator. 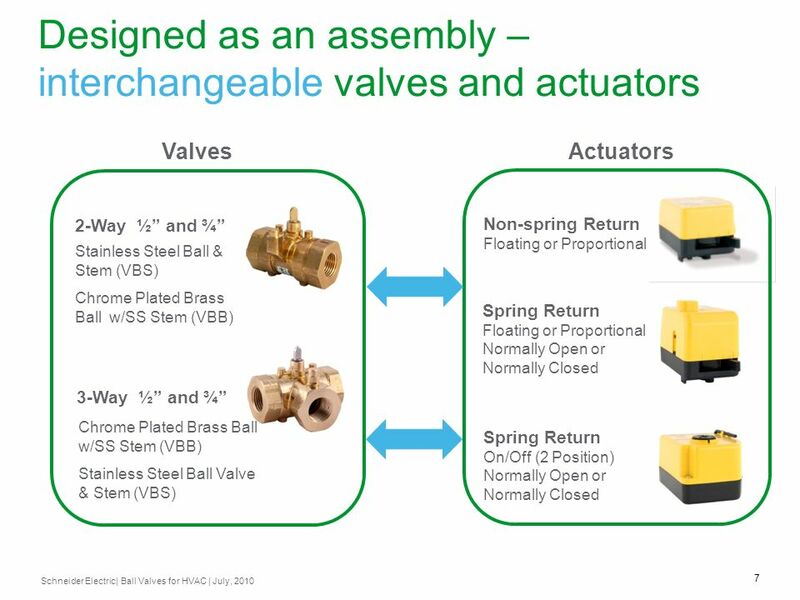 Now, valves can be shipped straight to a mechanical for assembly into piping packages, while the actuators are wired up on site. 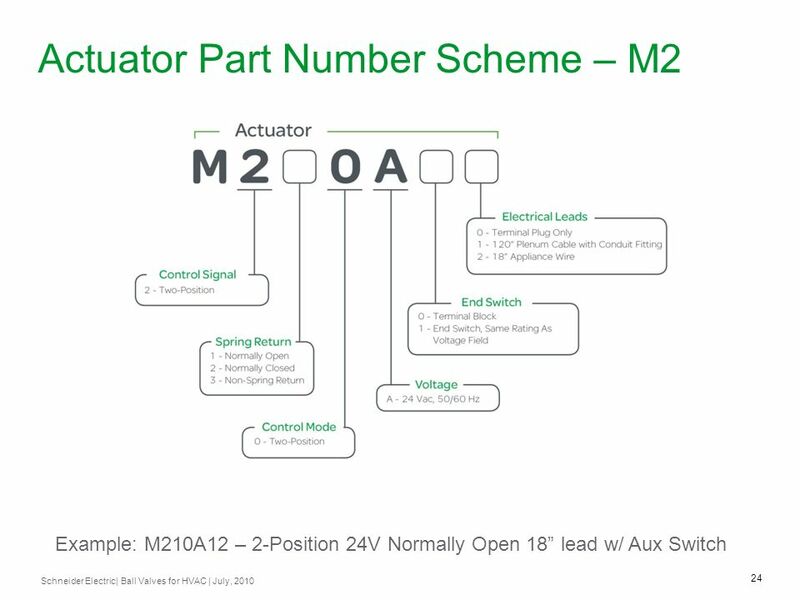 When the piping arrives, just snap the actuator to the valve. 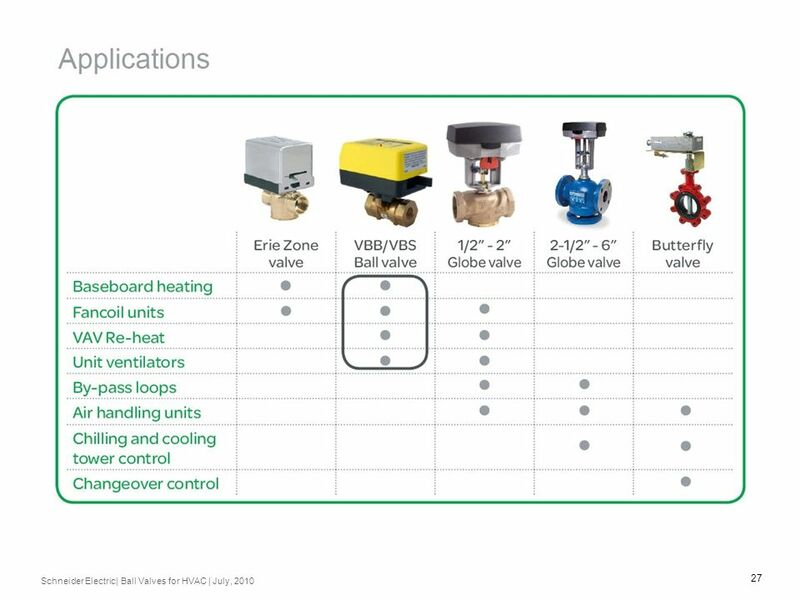 For wholesalers, valves and actuators can be stocked separately and easily combined to create the desired combinations on the spot. 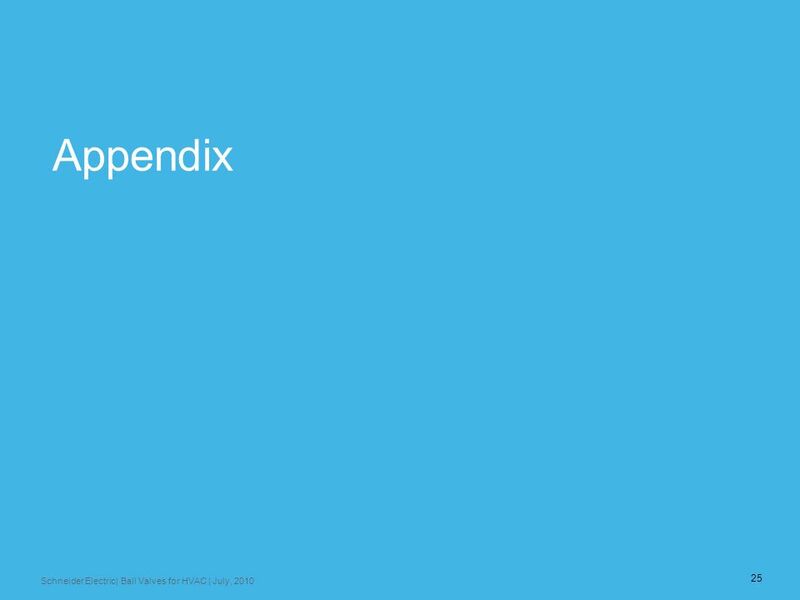 The number of SKUs and amount of inventory is much less than stocking many combinations of assemblies, increasing inventory turns. 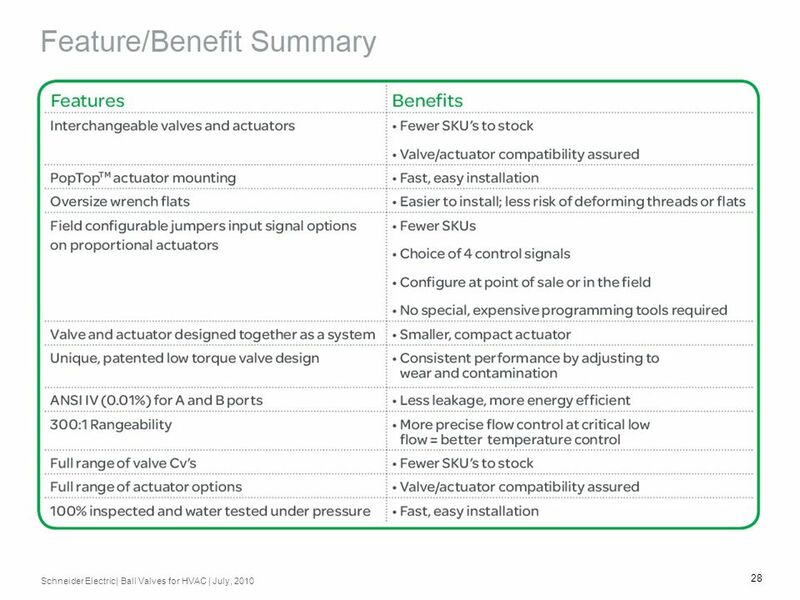 Since the valves and actuators were designed as a system, torque requirements for the actuators were minimized resulting in a small, compact actuator. 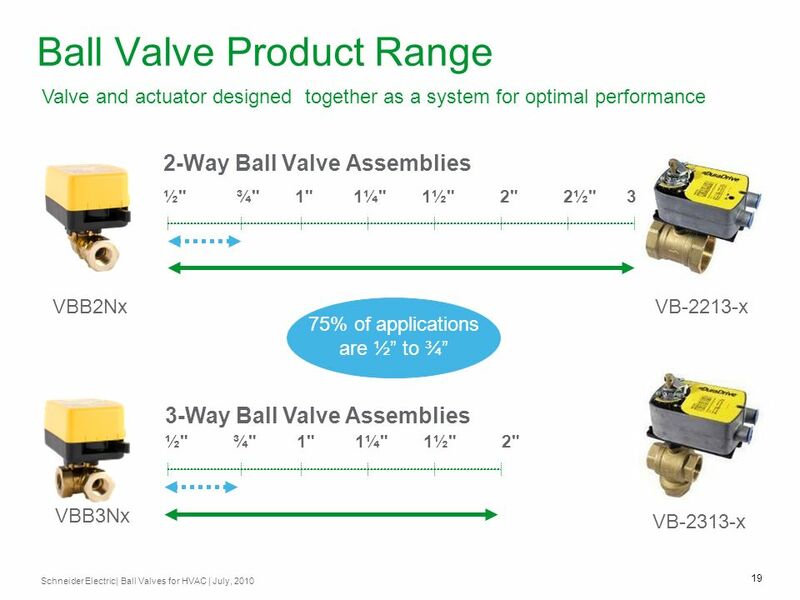 The VBB/VBS Series of ball valves and actuators has been designed with a “system” approach; i.e. 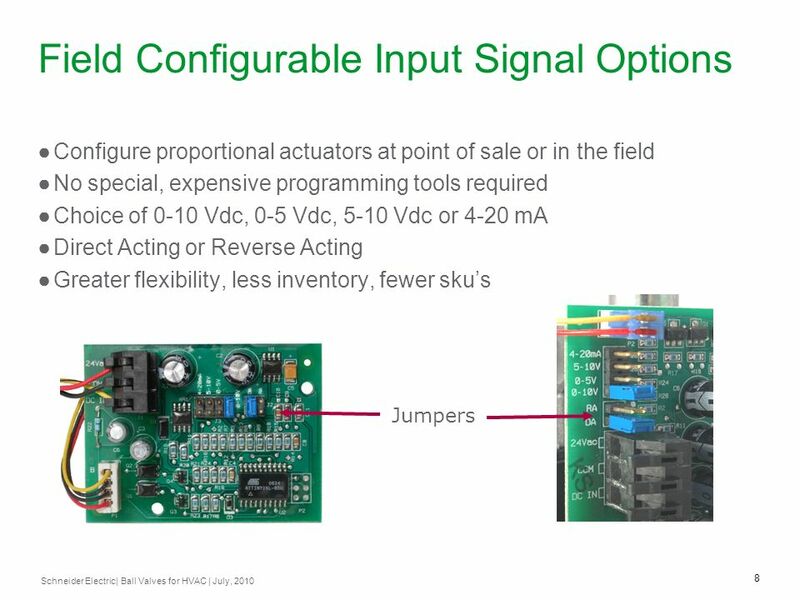 the valves and actuators were designed at the same time specifically for use as an assembly. 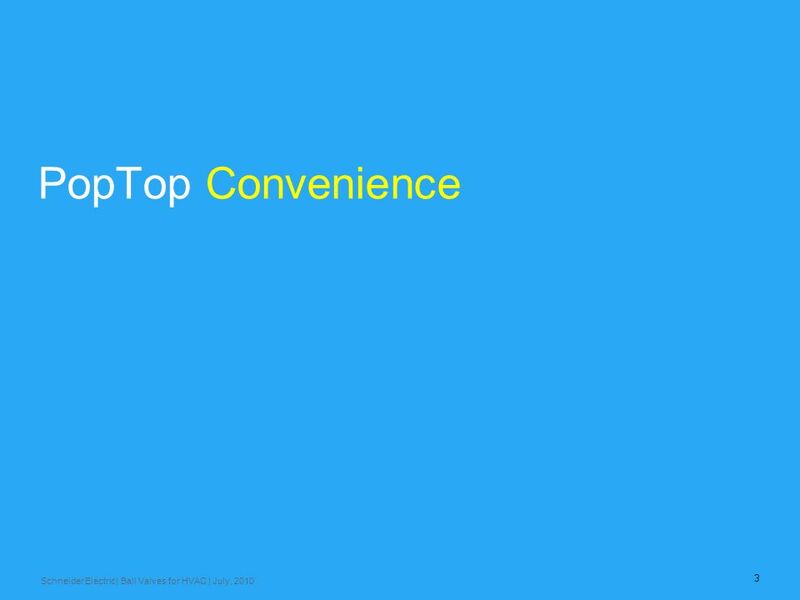 The result is optimal performance and unique features. 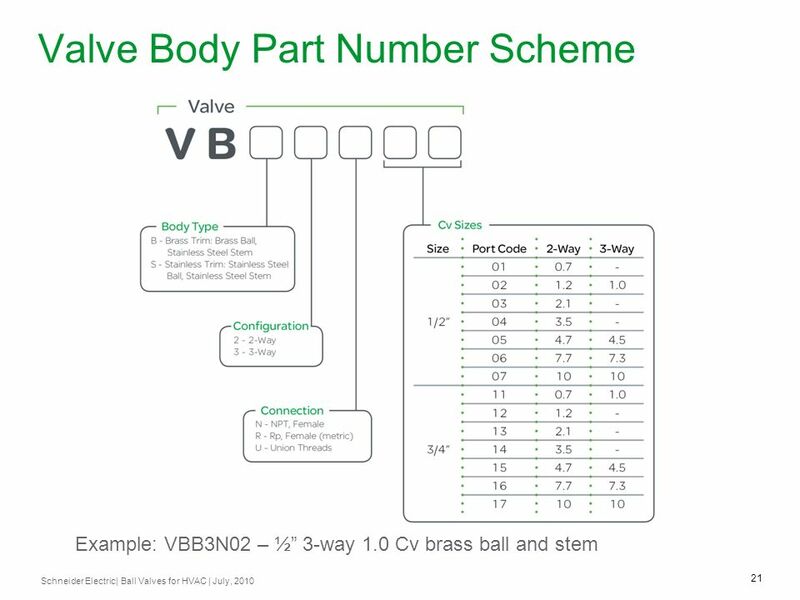 The VBB/VBS family addresses applications requiring ½” or ¾” valves, which represent approximately ¾ of ball valve applications. 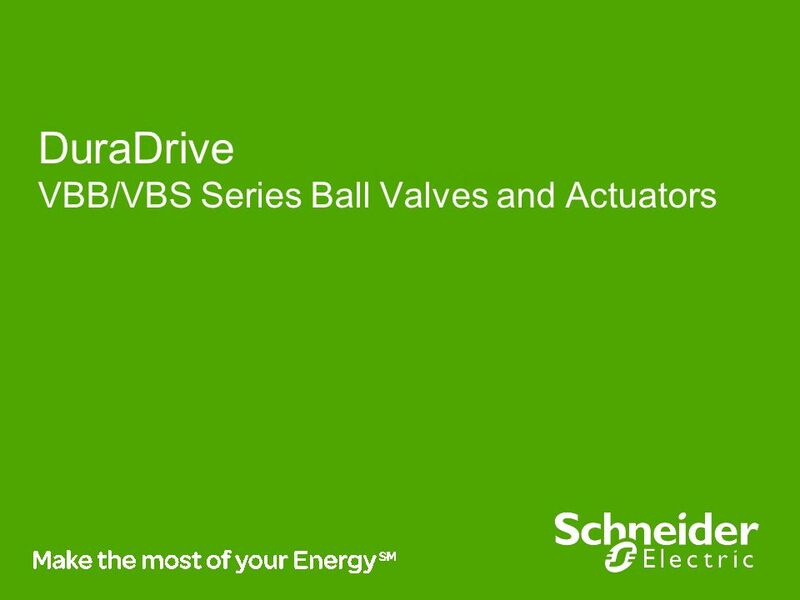 Schneider Electric’s Vx-2000 Series of ball valves is available for applications requiring valves >3/4” The VBB/VBS valves and actuators are completely interchangeable, assuring compatibility. 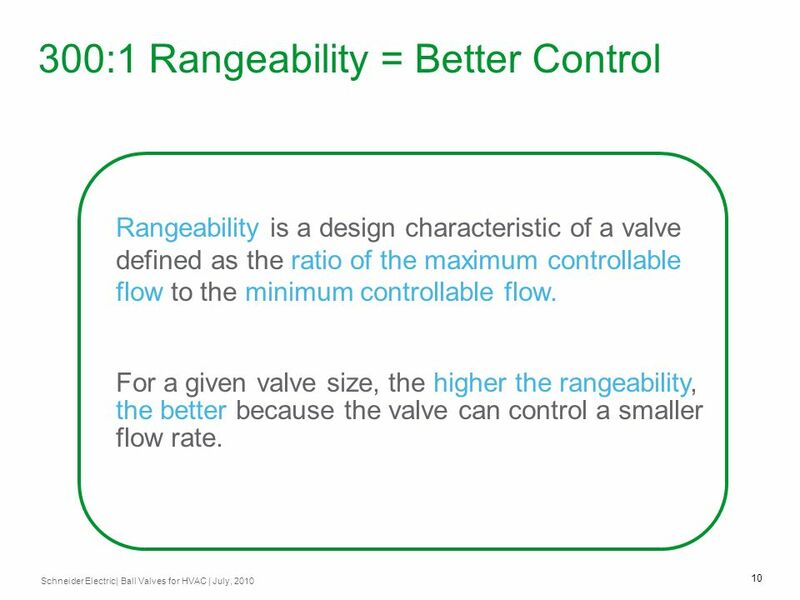 Rangeability is a design characteristic of a valve defined as the ratio of the maximum controllable flow to the minimum controllable flow. 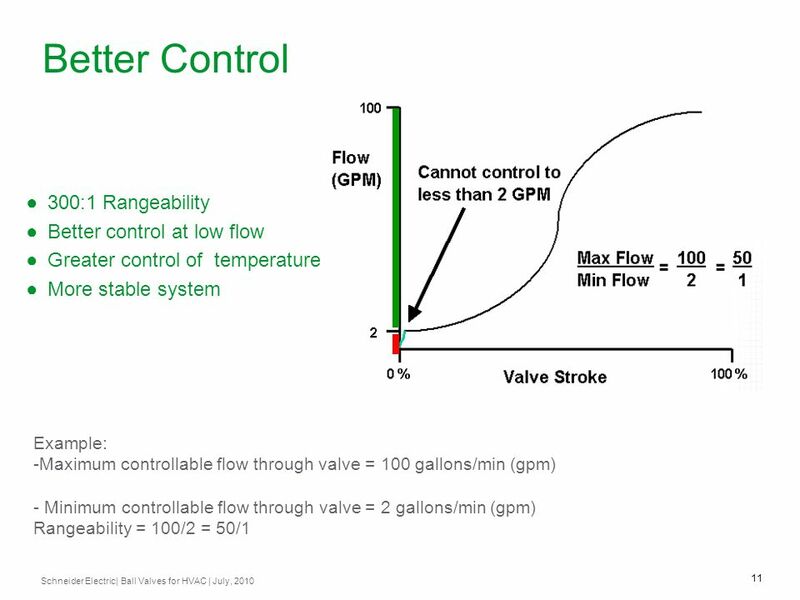 For a given valve size, the higher the rangeability, the better because the valve can control a smaller flow rate. 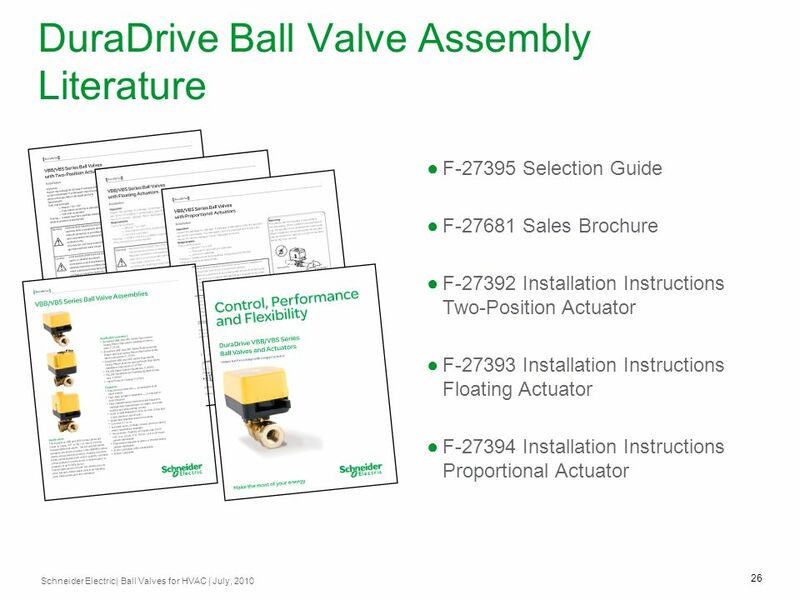 Less torque required to move ball allows use of smaller actuators Unique, patented design PTFE seals allow for lower friction and higher temperature resistance. With the addition of wave springs, the PTFE seals continually adjust for wear and contamination. Most ball valve manufacturers utilize PTFE seals and anti-blow out (resistant) stems. 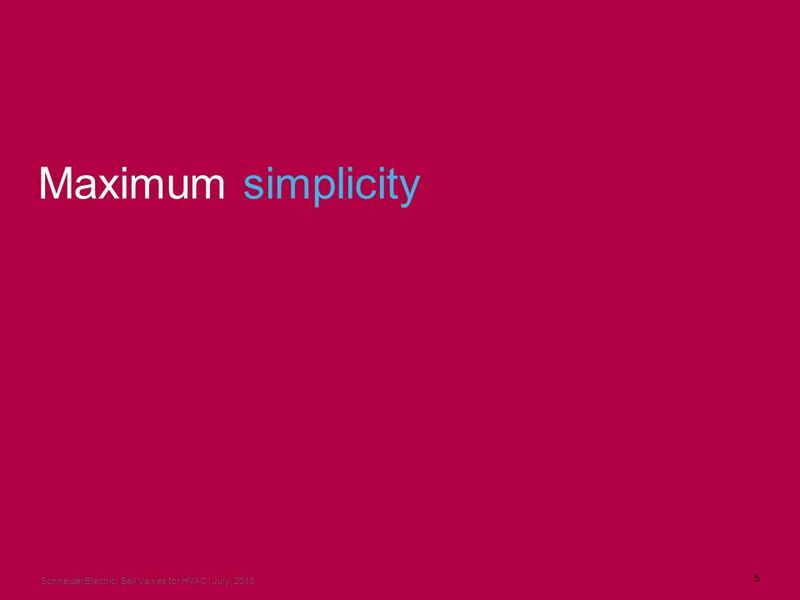 Our spring design allows the seals and ball to float, resulting in lower and more consistent torque requirements. This allows us to achieve ANSI IV leakage while utilizing a lower torque (smaller footprint) actuator. 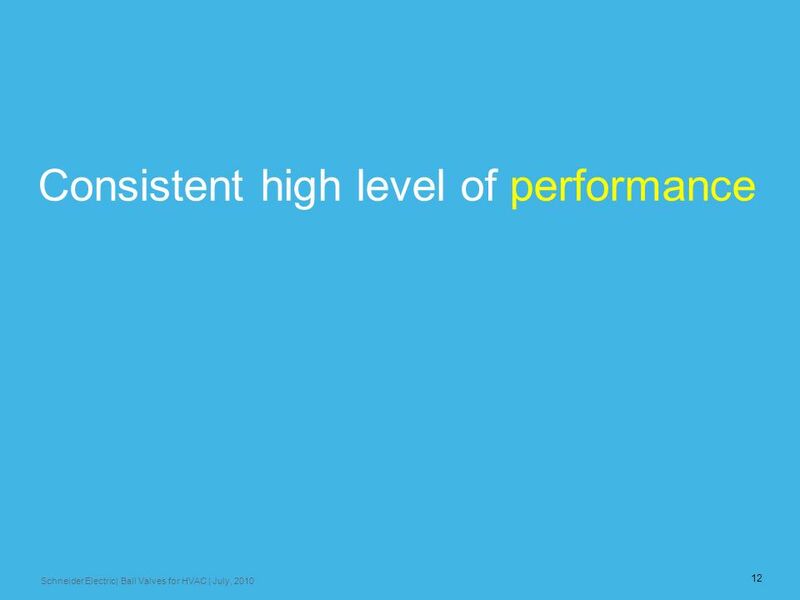 Fewer call-backs Trouble-free performance High quality is paramount. 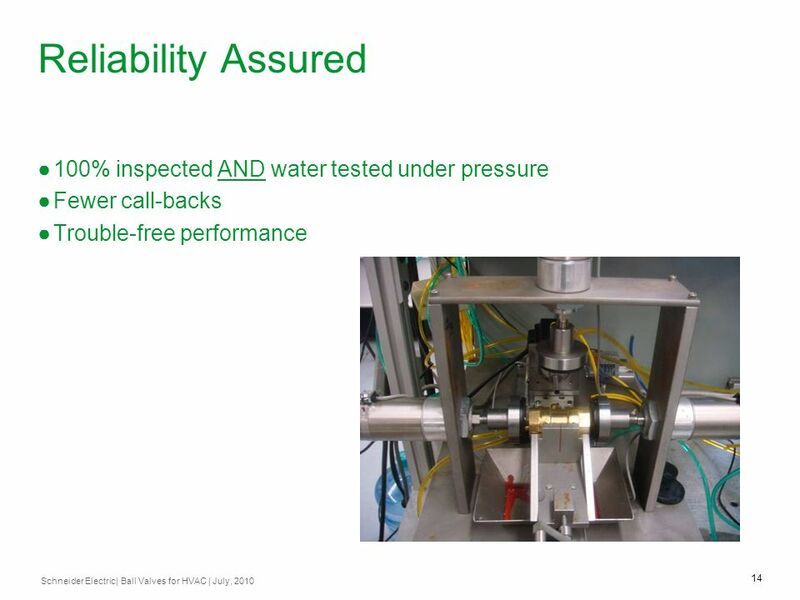 Schneider Electric VBB/VBS valves are not only 100% inspected, but also 100% tested with water under pressure. 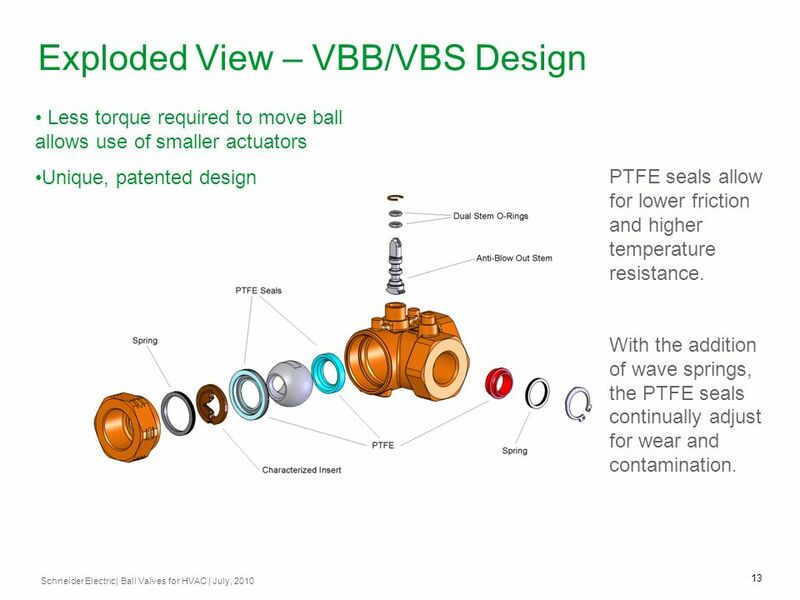 That’s why you can be assured of trouble free performance with VBB/VBS ball valves. Other manufacturers may inspect, but not all water test. 16 Valve leakage, why is it important? 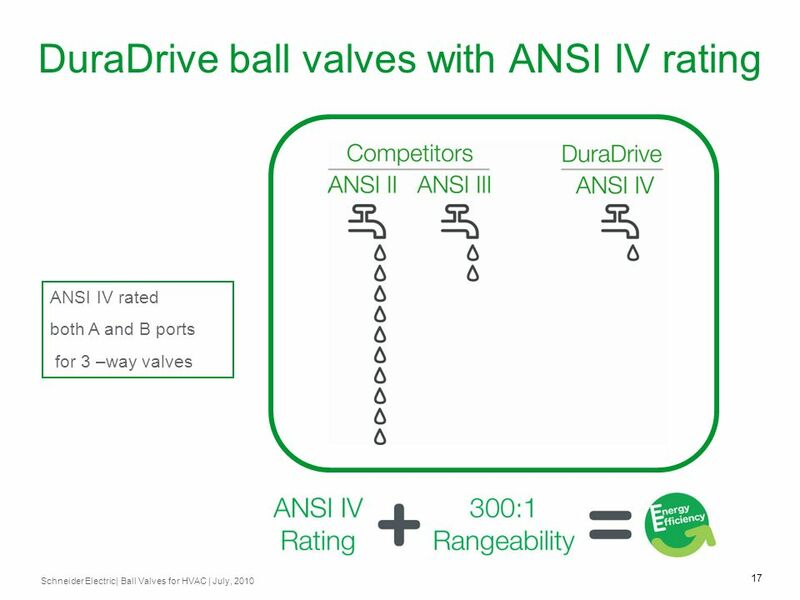 ANSI IV rated both A and B ports for 3 –way valves When the valve is closed, the desire is that no water should flow through the valve. But under pressure, some water can get through. 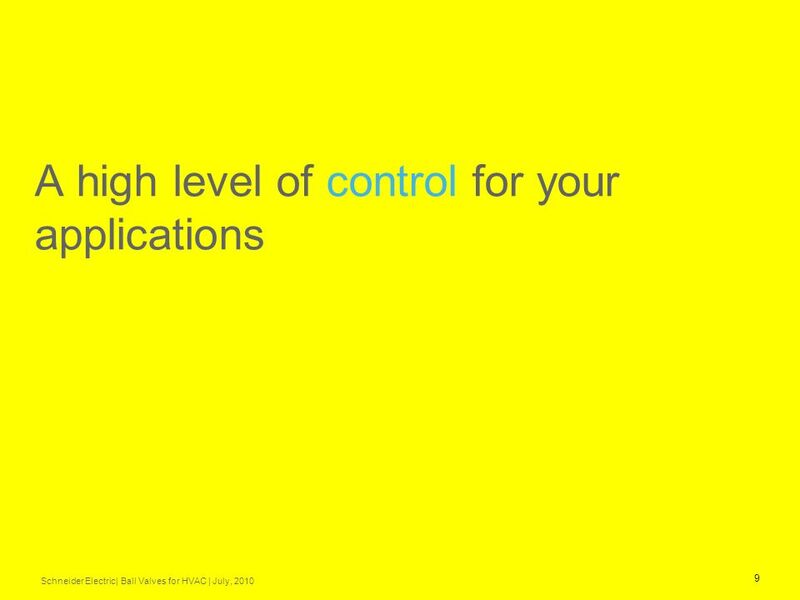 The ANSI rating tells us the maximum amount of leakage that could occur. 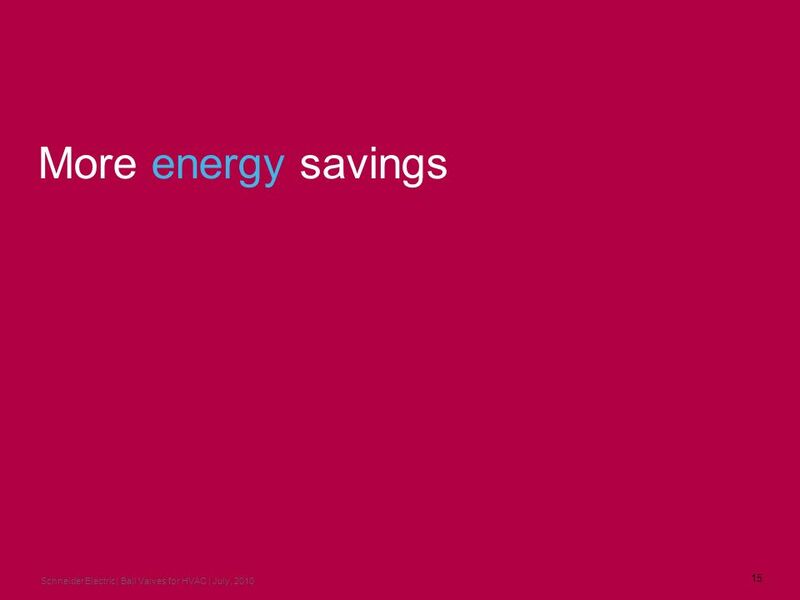 Unintended flow through the valve wastes energy being circulated through the system, and adding heat or cooling an area when it shouldn’t. 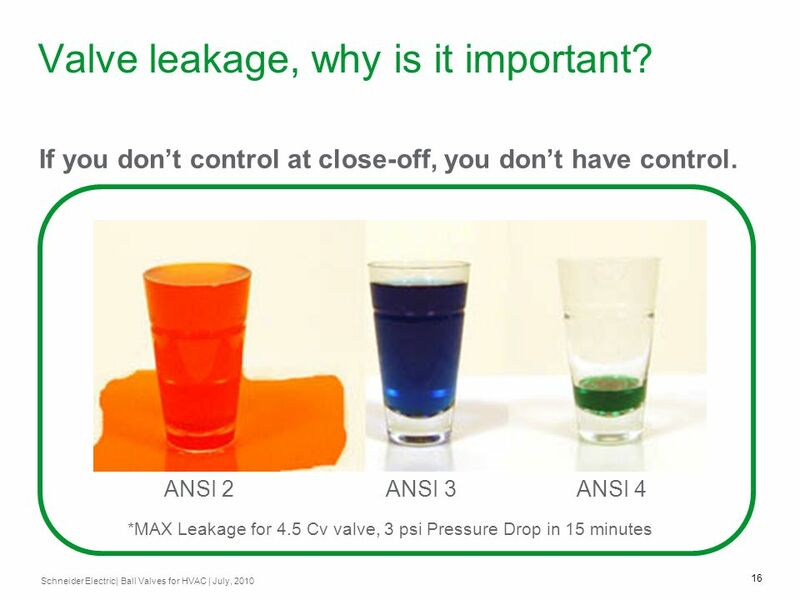 A change in ANSI ratings between III and IV is a factor of 10 in leakage at close-off. 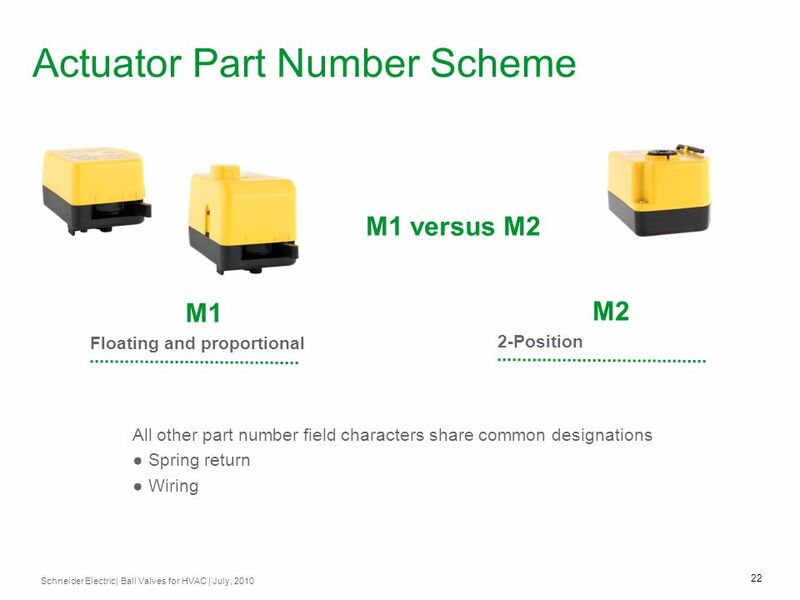 F Selection Guide F Sales Brochure F Installation Instructions Two-Position Actuator F Installation Instructions Floating Actuator F Installation Instructions Proportional Actuator Literature available via i-Portal and Pub Zone. 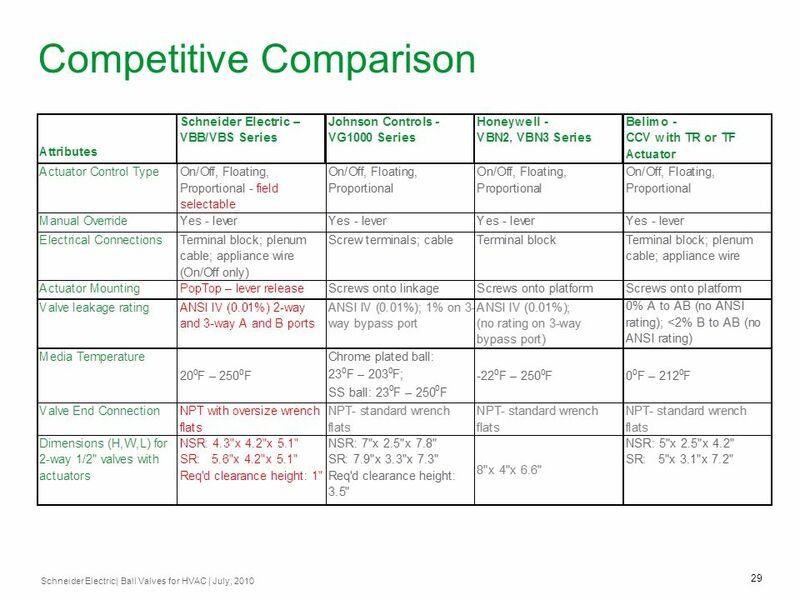 This comparison is typical for a variety of popular ball valve suppliers. 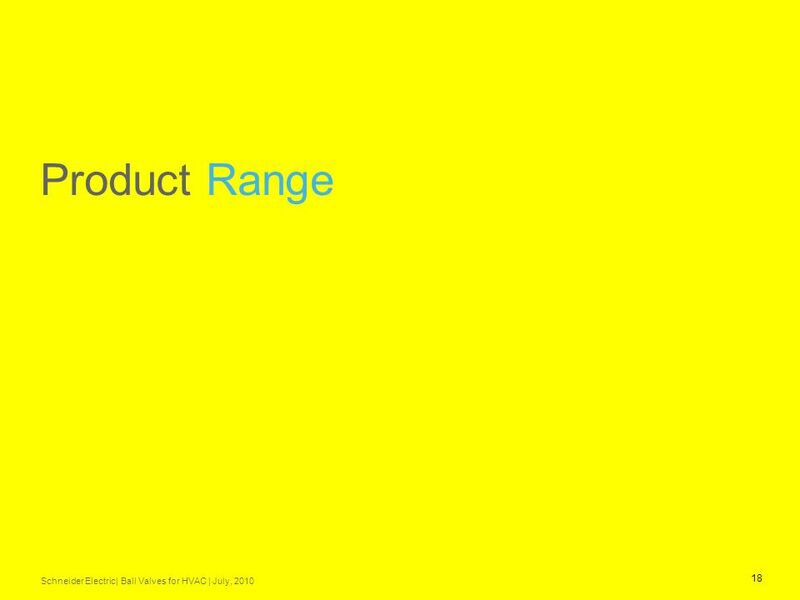 On a number of specifications, and range of offer these valves are comparable. 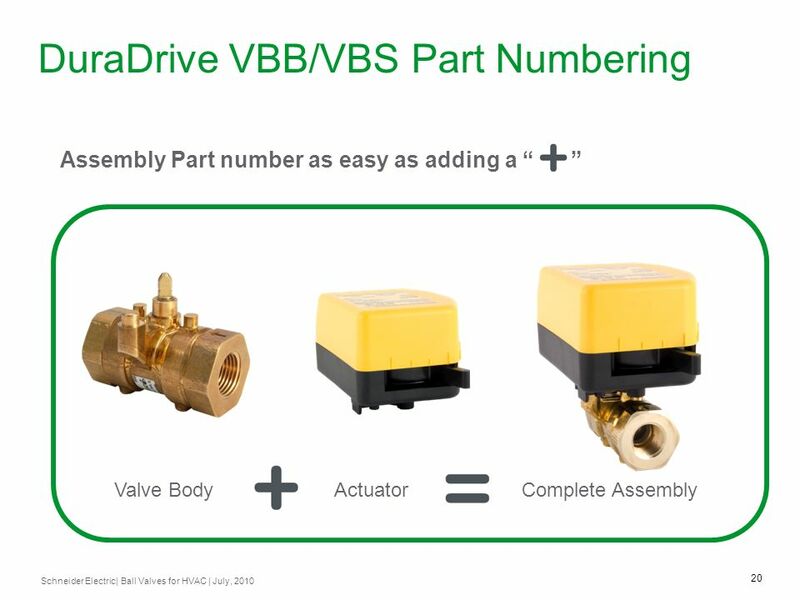 VBB/VBS Series valves and actuators are different in ways that add value to wholesalers, contractors and end users. 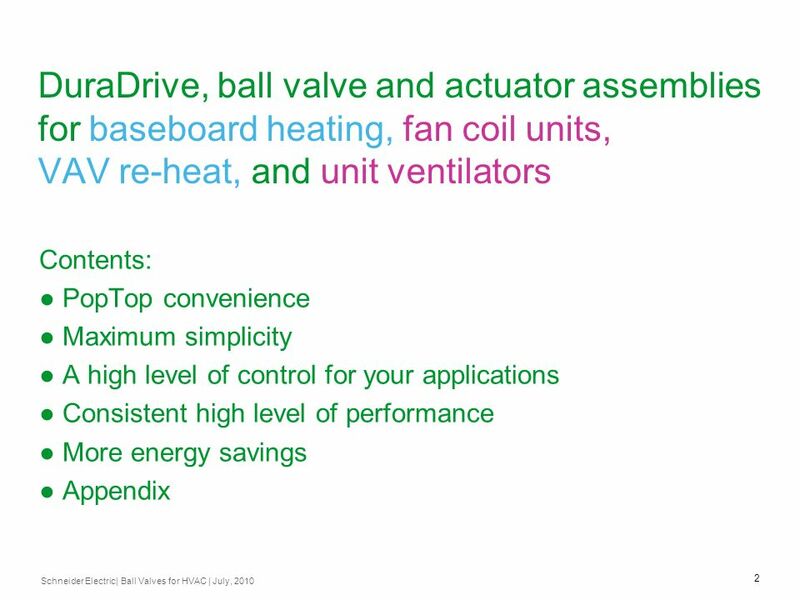 Download ppt "DuraDrive VBB/VBS Series Ball Valves and Actuators"